The consultancy hosted its 25th anniversary training event, covering every aspect of the world of route development. Delegates and industry guests from across the globe came to London this week to attend ASM’s 25th anniversary Fundamentals of Route Development Training Event. 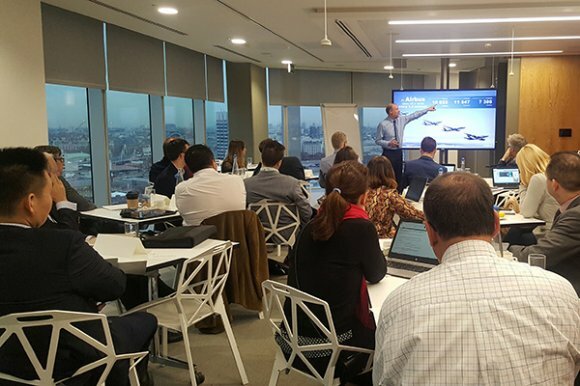 In a panoramic location overlooking the city’s skyline, expertise was shared by some of the leading names in aviation who drew on their fascinating careers with companies including Emirates, Vueling and TUI. Laurie Berryman, the former UK general manager for Emirates, opened the event with an exclusive look into the carrier’s success and its investment strategy within each market in which it has launched. Berryman also raised the crucial issue of the airline's future fleet plans and how it can provide the capacity it needs either through the Airbus A380 or the smaller Boeing 777 model, while taking into account the constraints at Dubai International Airport. Delegates were also given the unique opportunity to hear from Gabriel Schmilovich, director network strategy, development & planning for Vueling, who gave advice to airports on the best tactics to undertake in an airline meeting, notably the importance of tailoring business cases to an individual route opportunity. 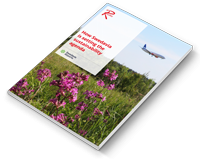 Rather than viewing a traditional presentation, Schmilovich informed attendees that he personally prefers to receive a one page summary which focuses on the key messages and specific route opportunities of which only an airport or destination knows. Schmilovich’s advice was reinforced by ASM's Lee Lipton, a former director of network planning for Aer Lingus and former director of air service and cargo development for Vantage Airport Group. Having occupied both sides of the table, he stated that "the most important thing that an airport can do to develop new routes is to demonstrate success with its current services". Further route development insight was shared by Léon Verhallen, head of aviation development at Brussels Airport, who spoke about the achievements which led to the organisation winning the World Routes Marketing Awards in September this year. Additionally, Verhallen provided an exclusive look into the activities carried out by the airport’s route development team, focusing particularly on resource management. The event programme featured a line-up of aviation experts from other industry sectors, including Airbus’ fleet and network profitability director Andrew Armitstead, who offered a manufacturer’s perspective on approaching airlines, while ASM's Chinese aviation expert Hang Zhao gave delegates an exclusive look into China’s aviation model and what the market seeks from airports and destinations. The two-day event was rounded off by a presentation from Jeremy Robinson, one of the world’s leading aviation lawyers, who provided critical advice around how to negotiate deals within a legal and commercial framework, as well as the issue of state aid and how to avoid it. View ASM’s future training programme and discover the opportunity to develop your industry knowledge in 2019.